Sunpath analysis showed the site was shaded in the summer months from 11:00 onwards. 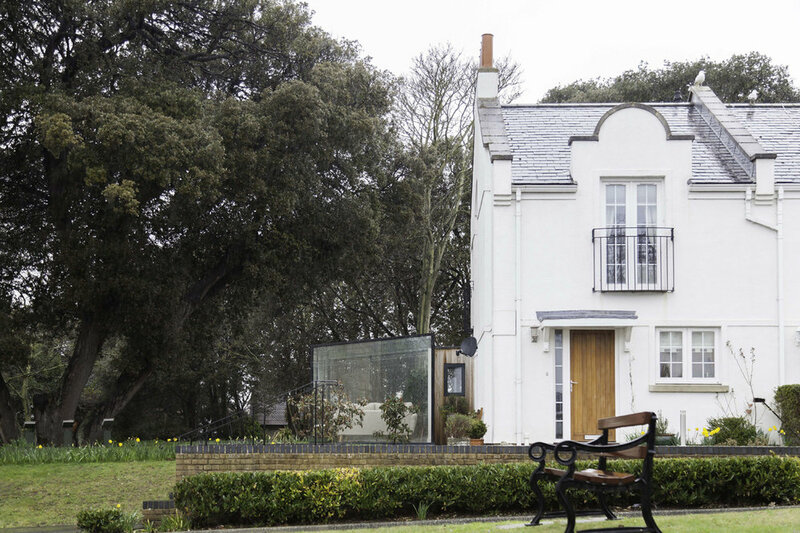 A structural glass conservatory was designed and built within the grounds of the high quality private residential estate of West Cliff Park. The South-facing site overlooks the Royal Esplanade and English Channel while including woodland with some protected trees. Faced with considerable Planning challenges, the end result balances conservation with sensitive modern intervention promoting 'openness' and presents a design of outstanding, lasting quality in harmony with its surroundings. 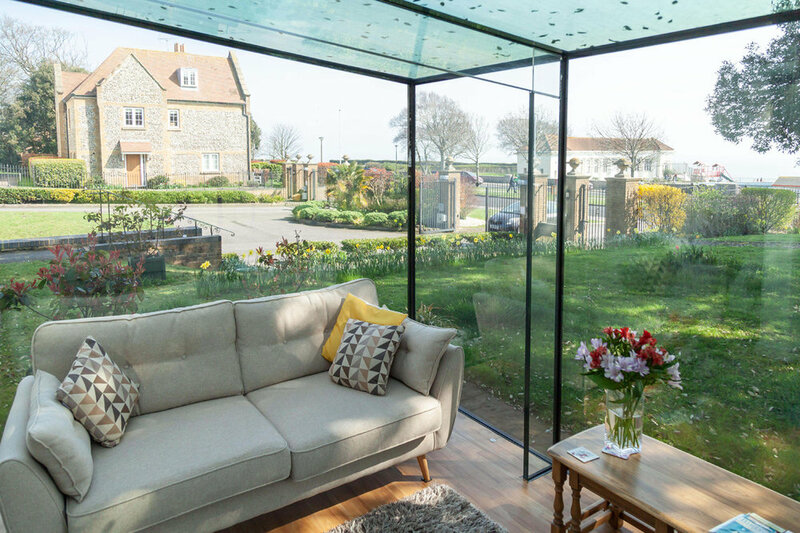 The structure comprises an ultra clear frame-less glass conservatory featuring glass beams and columns, partially connected to the property via a natural cedar-clad walkway and juxtaposing the host property and conservation area. Neutral, highly transparent materials complement the woodland setting and clean aesthetic of the property. The form and fabric of the proposed south-facing envelope is technically innovative, integrating balanced natural passive design measures to increase thermal comfort for the occupants throughout the year. Summer: the need for active cooling e.g. air conditioning is negated and potential overheating is decreased by spectrally selective glazing which reduces transmitted short-wave solar radiation. The structure is furthermore overshadowed by trees after mid-morning, thus reducing the requirement for solar shading devices. Winter: Heat loss is reduced via high performance double-glazed units and heavily insulated floor, wall and roof elements. The conservatory can thus naturally heat existing living areas to the ground floor. The space is naturally ventilated via a manually operated ventilation panel and a doorway concealed within the portal walkway.